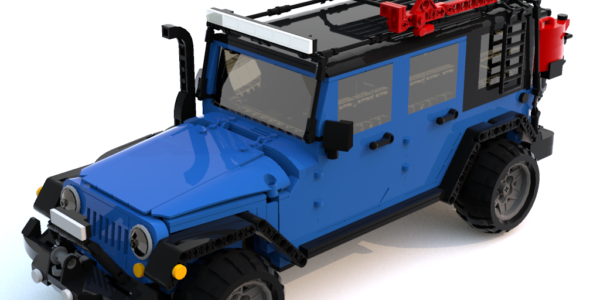 You are here :Home Featured LEGO Jeep JKs you can make happen! 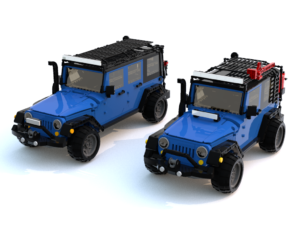 These LEGO Jeep Wrangler JK models were designed by Jeep and Lego Fan Rommel Reyes. They are up for support on LEGO’s Ideas website for a chance to become production kits. 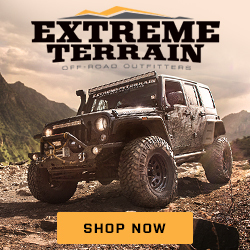 He was inspired to design these two models by his own Jeep Wrangler JK Sahara Unlimited. Rommel has designed both versions of the Jeep Wrangler JK, the Unlimited 4-door version and also the 2-door version. Both versions of the LEGO Jeep Wrangler JKs have everything that you might expect from an actual Wrangler, just on a LEGO scale. The exterior closely resembles the original with details down to a removable three panel hardtop. The Unlimited version has 1730 LEGO bricks. Over time, Rommel has updated the Unlimited version with added accessories, such as: LED bars, new bumper, winches, gas tank, and off-road jack. Rommel submitted the design for the Unlimited version to the LEGO Ideas team last year on December 3. By December 9, his first project reached the first milestone goal 100 supporters. LEGO Ideas projects have 60 days to reach a goal of 100 backers. Once submissions receive that initial backing, LEGO extends the window to one year to receive 1,000 supporters. Ultimately, projects need 10,000 supporters in order to be officially reviewed by the LEGO design team. As of writing this piece, the Unlimited version has 513 supporters with 276 days left to reach the next 1,000-supporter goal. 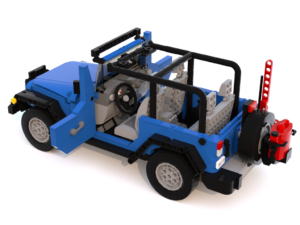 The 2-door version has 1450 lego bricks, it includes all the accessories as the unlimited version has, recently Rommel has updated this version including the half-door look, and also the no-door version. The 2-door version was submitted on January 23rd, and reached the 100 supporters in less than 24 hours. Right now the 2-door version has 482 supporters and 327 days left to get the 1000-supporter goal. Rommel’s idea for these two models is that the Jeeps can be customized just as the actual Jeep Wrangler JK is, so everybody could create their own bumper, racks and so on. 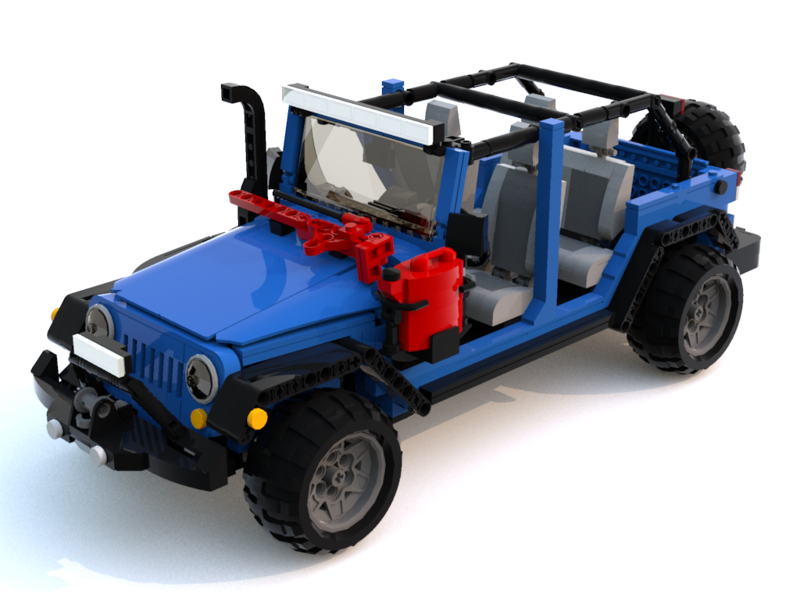 To support these awesome LEGO Jeep projects please click on the links below. To vote, you register first, it will not take more than 2 minutes.